Tetrad habitat analysis: the areas of major habitat categories in each tetrad, based on TVERC mapping in 2003 to 2006. If you would like access to the GIS dataset of habitats for Berkshire, please contact TVERC. Habitat/abundance analysis: correlations between abundance of the commoner bird species and the areas of habitats in tetrads. 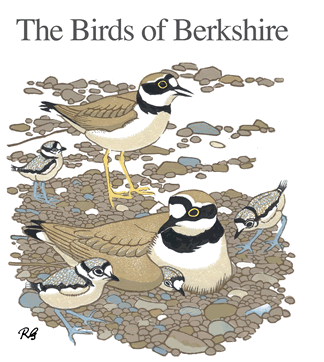 As the habitat area data are only available for Berkshire, those tetrads with less than 50% of their area in Berkshire were excluded.